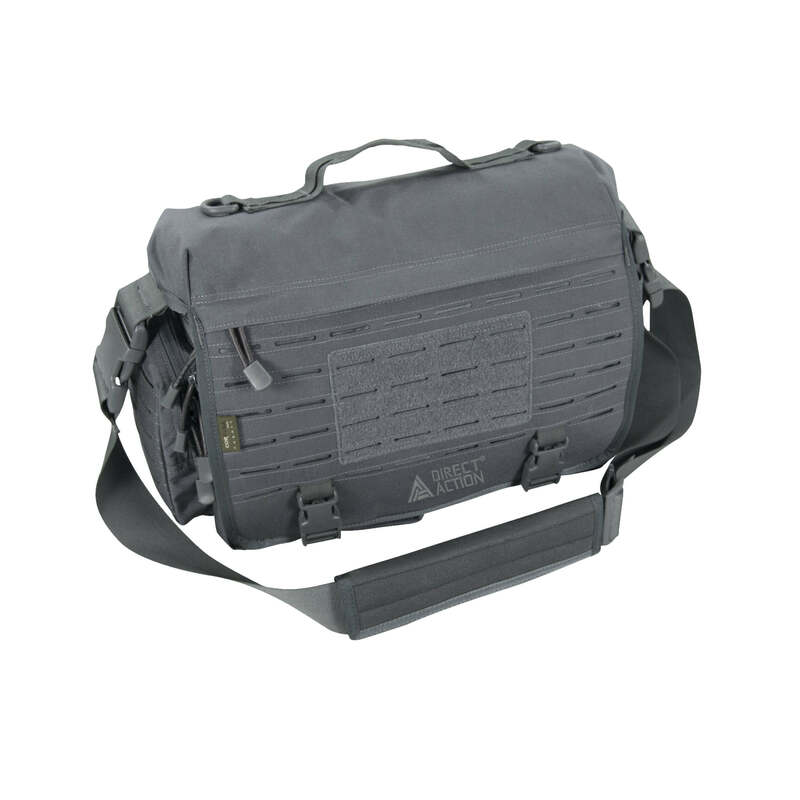 Direct Action® Messenger Bag® is a lightweight and versatile, medium size tactical bag for LE operator or just for everyday use. Equipped with a set of capacious pockets, D.A. Messenger Bag® allows the user easy customization and personalization. Main compartment is lined with Hook & Loop loops which allow adding some extra equipment, like holsters or magazine pouches. Padded sleeve inside main compartment keeps your notebook or other electronic devices fully protected. D.A. Messenger Bag® features laser-cutting modular system compatible with MOLLE/PALS. Fully adjustable shoulder strap comes with non-slip pad. Made of durable 500D Cordura® nylon fabric with water resistant coating.